Ceramsite sand is a kind of ceramic product, with granular shape and very high intensity, can be used in oilfield for supporting and increasing oil production. Ceramsite sand is a kind of ceramic product, with granular shape and very high intensity, can be used in oilfield for supporting and increasing oil production. Another role of ceramsite sand is that it can be used to substitute for natural quartz sand and glass balls, used for cement and aggregates making in construction industry. 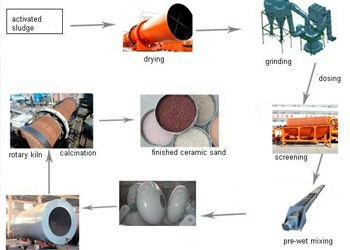 Ceramsite sand production line is also known as LECA production line, ceramic production process, oil proppant ceramsite production line, etc., and the process is divided into crushing, blending, grinding, ball making, burning, cooling and screening. Equipment generally used in this process are: jaw crusher, preheater, dirt catcher, ceramic rotary kiln, cooler and belt conveyors and other equipment. Clay ceramsite is a ceramic grain texture, the preferred ingredient is clay, and the process are crushing, screening, blending, ball making, sintering, cooling and other process. Clay ceramsite is economical and practical, energy saving and environmental protection, so it is used extensively in building structures, thermal insulation, landscaping and so on. Building ceramsite sand or construction ceramsite sand is typically used to configure aggregate for construction. The internal honeycomb structure of construction ceramsite sand makes it low quality, high strength, low thermal conductivity and other advantages. Building ceramsite sand can be used for building insulation, fireproofing, refractory materials and other building materials. LECA production line and construction ceramsite sand production line are the most frequently used two modes of production lines currently, also the most mature ceramisite production process. 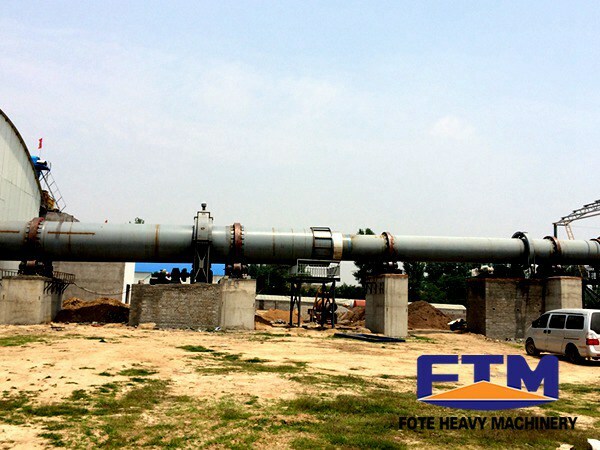 Shale ceramsite sand makes shale as its raw materials, after crushing the shale with jaw crusher and grinding the raw materials with raw materials, add other materials to it and mix fully, and then sintere through the rotary kiln, finally get the finished product after cooling.